Bring existing Lean, Six Sigma, TPS frameworks into real-time domain. Applying any new technology to business has its challenges. Early adopters must wrestle with nascent and untested methodologies, overcome a lack of understanding and resources, and suffer risks to existing operations. 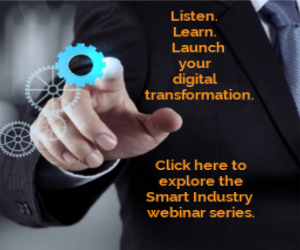 And for manufacturing organizations considering the impact of transformative digital technologies such as those represented by machine learning, big data analytics, and the Industrial Internet of Things (IIoT), these challenges are only amplified by the accelerating pace of change and broad impact of these technologies across the industrial enterprise. The rewards of successful deployment (for the leaders) or the consequences of failure (for the laggards) will indeed prove transformational. Yet the hesitation to implement a technology that impacts the entire business—without a proven methodology or framework—is obvious and understandable. Meanwhile, waiting for a new framework or strategy platform to evolve may not be a viable business choice either. This conundrum can be addressed in part by applying new technology within existing business process frameworks. For example, by applying machine learning technology to established operational excellence (OE) programs such as Lean, Six Sigma and the Toyota Production System. In fact, today’s machine learning technology holds the potential to reinvigorate such manufacturing and business programs that have long been limited to historical analysis. Machine learning can help to bring OE concepts forward into the realm of real-time, in-process manufacturing quality control and business optimization. It can also help to develop new and rewarding flexible manufacturing opportunities. In short, machine learning is closely related to data analytics and describes the use of algorithms to learn directly from data and to automatically adjust machine behavior based on such new information. This is in contrast to traditional, less flexible approaches that rely on explicit programming and an a priori understanding of machine dynamics. Another way to think about machine learning is that the machine “creates” its own program by looking at patterns and relationships in data. The complementary term “deep learning” also is used to describe multi-layered algorithms for detecting and responding to especially complex patterns. The impact of machine learning on OE in the manufacturing industry will be significant, especially given the integrated view of industrial supply chains that today transcend organizational boundaries. These effects, which may well exceed the initial impact realized when OE concepts and methodologies were first introduced, will accelerate with the continued development of communications and collaboration platforms such as the Digital Manufacturing Commons (DMC) currently under development by the Digital Manufacturing & Design Innovation Institute (DMDII). consider when selecting a development platform for machine learning applications. Allow for machine applications that can live and operate at the edge. For widespread adoption and speedy deployment, models should be as lean and platform-agnostic as possible with the scalability to co-exist in cloud-based, enterprise environments and at the edge (the manufacturing floor) to stretch the manufacturing “loop” to encompass the entire supply chain as needed. Plan for aggregation and fusion of different data sources across organizations to provide for benchmarking and macro trend analysis. Long-term analysis of key performance indicators across a distributed manufacturing value chain is a natural extension of current OE programs. A machine learning development platform must provide a common, distributed architecture for mixing manufacturing data and machine learning recipes or “apps” in an easy-to-use, intelligent fashion. Machine learning can impact both batch and continuous manufacturing processes. In fact, it can provide analytics and “in-process-quality” capabilities for continuous operations that were previously possible only in the batch manufacturing domain. New, customer-responsive and flexible business models for continuous manufacturing industries like steel are now possible. Quality at the cost of speed (to market) and scale will quickly become an old paradigm: machine learning increasingly will make possible quality with speed, scale and flexibility, too. While rich IIoT infrastructure exists in the form of production and process automation systems, the inventory, distribution and logistics functions also are being connected by the IoT and enabled with real-time analytics. Both ends of the supply chain (suppliers and customers) are being equipped with collaborative technologies thanks to secure cloud environments, and provide a fertile ground for intelligent OE applications across organizational boundaries. When considering deployment modalities, some hesitation and even uncertainty can be reasonably expected, except from a few bold, early adopters. More conservative organizations can take a more measured approach. Rather than closing the loop on the entire supply chain out of the box, “augmented intelligence” machine learning algorithms can guide and advise initially, with the potential to be closed later. The rich automation infrastructure of manufacturing operations, together with IoT-enabled logistics and collaboration, today make it possible to build intelligent, value-focused operational excellence systems that drive customer loyalty as well as increase enterprise value and competitiveness. Jim Barkley is a director at UI LABS, working in their Digital Manufacturing & Design Innovation Institute (DMDII), one of the premiere national manufacturing institutes launched under the Obama Administration. Jim works primarily on The Digital Manufacturing Commons—an open source, next generation platform for bringing together manufacturing-related data, tools, people and projects in a cloud-hosted web platform. Rajiv Anand is founder and CEO of Quartic.ai, an industrial artificial intelligence company. He is an instrumentation and control engineer with 30 years of experience implementing process control and asset health solutions for power, mining, pharmaceutical and chemical industries. Before starting Quartic.ai, Rajiv spent a year researching the Industrial IoT and advising technology companies and customers on digital manufacturing strategies.